The Burnam apartments, one of POAH's flagship developments in Woodlawn, at 6134 S. Cottage Grove Ave.
As Chicago’s mayoral and aldermanic candidates debate issues of affordable housing in the run-up to February’s elections, UChicago has found its own approach to tackling the issue. Since 2003, the University’s Employer-Assisted Housing Program (EAHP), operated by the Office of Civic Engagement, has aided University employees in buying homes in several South Side neighborhoods. Nine neighborhoods fall within EAHP’s domain: Hyde Park, North/South Kenwood, Woodlawn, Douglas, Grand Boulevard, Greater Grand Crossing, Oakland, South Shore, and Washington Park. Any full-time, benefits-eligible employee of UChicago can apply for an interest-free, forgivable loan of between $2,500 and $10,000, to count toward a down payment on a home in any of these communities. In addition to the financial component, the program also provides homeownership counseling to participants. Certain neighborhoods carry more restrictive conditions. Prospective buyers in Hyde Park or South Kenwood must be first-time homeowners making no more than 120 percent of the area median income, while any homeowner outside the nine neighborhoods is welcome to apply if looking to buy outside of Hyde Park, with no income restrictions. Homeowners within those neighborhoods are only eligible for a loan to buy in Woodlawn. Woodlawn is an area of special attention for the EAHP. Its proximity to the University campus and relative lack of development compared to Hyde Park make it an ideal target for accessible housing initiatives. In addition to the University, three affordable housing focused nonprofits administer programs promoting homeownership in Woodlawn, funded by the federal government and the City of Chicago. The EAHP is available to any University employee looking to purchase a home in Woodlawn who doesn’t already own one there, and the University offers up to $2,400 in assistance to renters there as well. Before being approved for a loan, a participant in the EAHP is required to engage in confidential homeownership counseling. The counseling services are meant to help potential buyers to determine if their finances can support such a significant purchase. According to Christina Angarola, communications director for the Office of Civic Engagement, counseling is one of the program’s most popular features. According to Alyssa Berman-Cutler, executive director of community development in the Office of Civic Engagement, most of those who take advantage of Employer-Assisted Housing are University and staff of the University Medical Center, since faculty are eligible for a separately run second mortgage program. Sixty-six percent of the program’s 300 participants were South Side residents who had previously been renters before being able to buy a home. Demand for the program has been growing faster than the University has been able to meet it, even as the program’s budget has increased in recent years. Danielle Roper, a professor of Latin American literature, purchased her current home in Woodlawn with the help of a loan from the EAHP. She cites the counseling aspect of the program as a highlight, saying that it helped clarify the home-buying process for her. Berman-Cutler describes employer-assisted housing as part of a larger scheme of comprehensive community development. Various initiatives to promote small businesses and affordable housing tend to interact with each other: incentivizing University employees to live locally means they’ll be patronizing local businesses as well. A 2016 Forbes article listed the various benefits of homeownership, citing studies by the Boston Federal Reserve to prove that children of homeowners tend to do better in school and have higher incomes later in life. Home sales also create jobs within the local economy by stimulating demand for people like movers and remodelers. One such program is Renew Woodlawn, a loan and grant-making institution operated by three nonprofits: Preservation of Affordable Housing, Neighborhood Housing Services of Chicago Inc., and the Community Investment Corporation. Renew Woodlawn targets a similar demographic to the EAHP, without being restricted to University employees, and occasionally serves the same people. Affordable housing will only become more important in the near future, as construction begins on the Obama Presidential Center. The real estate site Zillow estimates that property values in Woodlawn increased by more than 15 percent between May 2017 and May 2018 and will likely continue to rise as anticipation for the Obama Center increases. Spurred by the $500 million project, 63rd Street will soon be redeveloped as a commercial corridor. 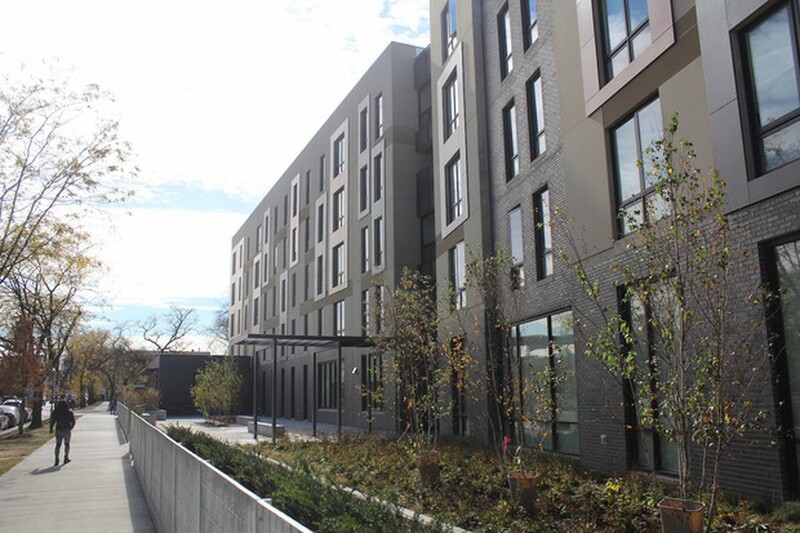 In Cote’s view, employer-assisted housing is an opportunity for the University to have a positive impact in the local community. For many Woodlawn residents, new homeowners are a sign of renewed investment in and engagement with their community.